"We are very pleased to extend Bradley's time in New York," said Red Bulls Sporting Director Denis Hamlett. "His on-field accomplishments at this club speak for themselves, but that success comes from his dedication and work ethic day in and day out. His character and leadership make him an important part of our group and we look forward to his continued success with the Red Bulls." "I'd like to thank Denis, (Head Coach) Jesse (Marsch), and everyone at the club for the opportunity to continue wearing this shirt and playing in front of the best fans in MLS," said Wright-Phillips. "I am very proud of what has been accomplished in my time here, but my sole focus is on trying to win MLS Cup." Wright-Phillips joined the Red Bulls in the summer of 2013 as a trialist. In his first full season in 2014, he won the MLS Golden Boot by tying the league's single-season scoring record with 27 goals. Wright-Phillips is the fourth player in league history to record three consecutive 15+ goal seasons, and netted another 24 last season to complete his pair of scoring titles. 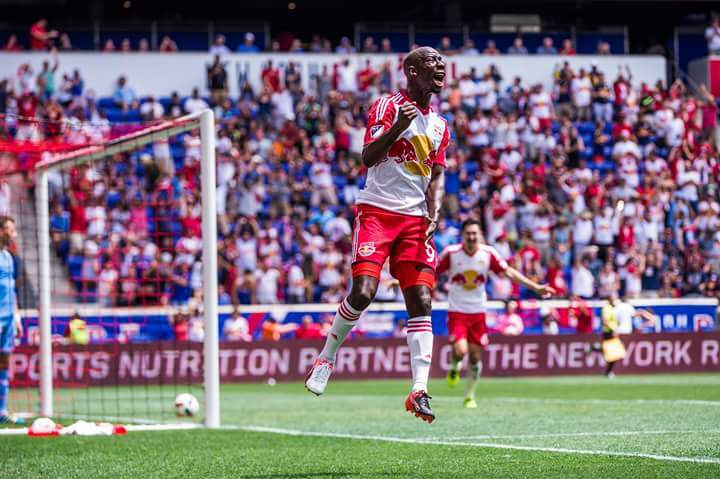 BWP earned his 70th goal in his 110th MLS appearance. Wright-Phillips' 0.63 goals per-game ranks sixth all-time in MLS, and his 0.71 goals per-90 minutes is fourth-best in league history.